June 21, 1939 - September 1, 2018 West Grove, PA | Age 79 Loving Wife, Mother, Grandmother, Great Grandmother, Sister, Aunt and Friend. PATTY PENNOCK, age 79, of West Grove, PA, passed away on Saturday, September 1, 2018, at her residence. She was the wife of Hadley B. Pennock, Jr., with whom she shared 63 years of marriage. Born in Rockdale (Lenni), PA, she was the daughter of the late Albert L. Opdenaker and the late Beatrice Wilson Opdenaker. She was the owner/operator of Pennock’s Donut House in West Grove, PA for seven years. She was a member of Assumption BVM Church in West Grove, PA, and a past member of St. Francis de Sales Church in Aston, PA.
Patty was past president of the Ladies Auxiliary at the VFW in Media, PA.
She enjoyed Blue Grass Festivals, gardening, house cleaning, watching game shows on TV, collecting tea cups and bells, her cats, entertaining and being with her family and friends. In addition to her husband, she is survived by two sons, Hadley B. Pennock, III (Lorraine) of Logan Township, NJ and Robert W. Pennock of West Grove, PA; one daughter, Eileen R. Luciani of Yorklyn, DE; her twin brother, Gerald Opdenaker of Lake Wells, FL; four sisters, Barbara Graham of Tallahassee, FL, Louise Barnes of Ambler, PA, Rosemary Aker of Norwood, PA and Linda Mullen of Aston, PA; seven grandchildren and ten great grandchildren. She was predeceased by two sisters, Caroline Poore Bonetti and Margaret Heavens; one brother, Albert Opdenaker, Jr.
You are invited to visit with her family and friends from 6:00 to 8:00 Friday evening, September 7, 2018 at the Foulk & Grieco Funeral Home, 200 Rose Hill Road, West Grove, PA, and again from 10:00 to 11:00 on Saturday morning, September 8, 2018 at St. Francis de Sales Church, 35 New Road, Aston, PA 19014. Her Funeral Mass will follow at 11:00. Burial will be in Edgewood Memorial Park, 325 Baltimore Pike, Glen Mills, PA. Thank you for. Opening your arms to me the first to me as a daughter there are not enough words to express what you mean to me. Thank you. You are Love to you family. and I know that loved us all we could count t on you always. I miss you. You are the glue that kept the family together. You were there for family and friends. So sorry reading about your mothers passing. Wonderful lady whom I was able to get to know thru baseball with you and Brian. Whenever I saw her in the grocery store she always took time to talk and say hello. Pat was a great friend. 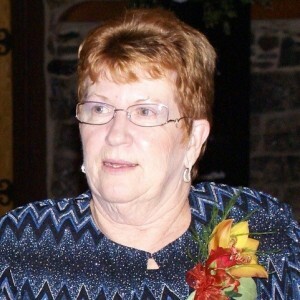 I will miss her sense of humor and shared memories of “Buttonwood”. My sympathies to Hadley and family. You are in my thoughts and prayers. So sorry to hear of Patty’s passing. So sorry to hear of Aunt Patty’s loss. She was a wonderful woman always happy with a smile on her face and in her voice. Our thoughts and prayers go out to the Pennock and Baillie families at this time. We wish you much peace knowing Patty is going home and no longer in pain. Aunt Patty will be sorely missed. Sending all my love and prayers and will keep you all in my heart and thoughts always. Ms. Pat was a very special lady who welcomed us into the neighborhood and her family. She cared for us, was like another grandmother to Gavin and Kylie, and was such a joy to visit. We are so blessed that we were able to know her and love her. We love the whole Pennock family and wish them peace and joy in their memories of her. Heaven just got on of the best souls I know.